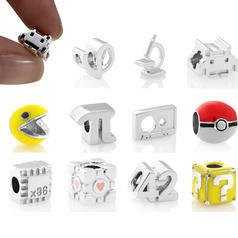 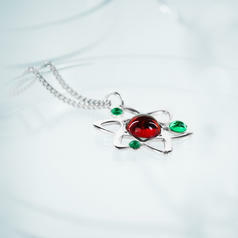 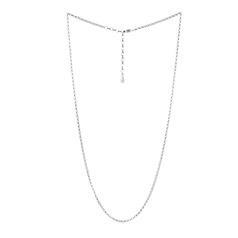 25.95 £ lade... Silver Necklace This silver necklace will allow your Nerd Charms to shine even brighter! 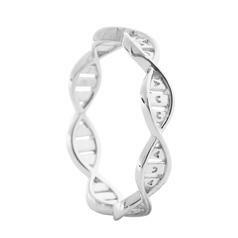 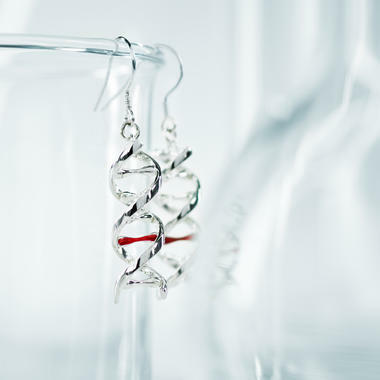 42.95 £ lade... DNA Helix Ring A piece of the human genome as a perfect piece of jewellery! 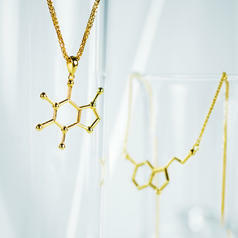 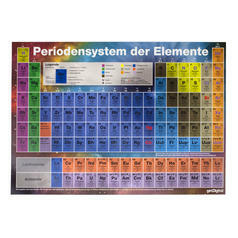 47.95 £ lade... Rare Geek Gem Molecule Necklaces The Geek Gem Gold Edition. 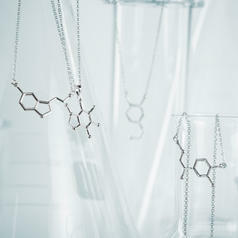 Choose between Serotonin and Caffeine. 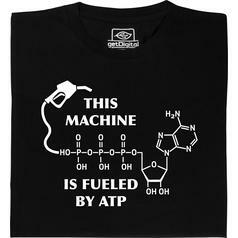 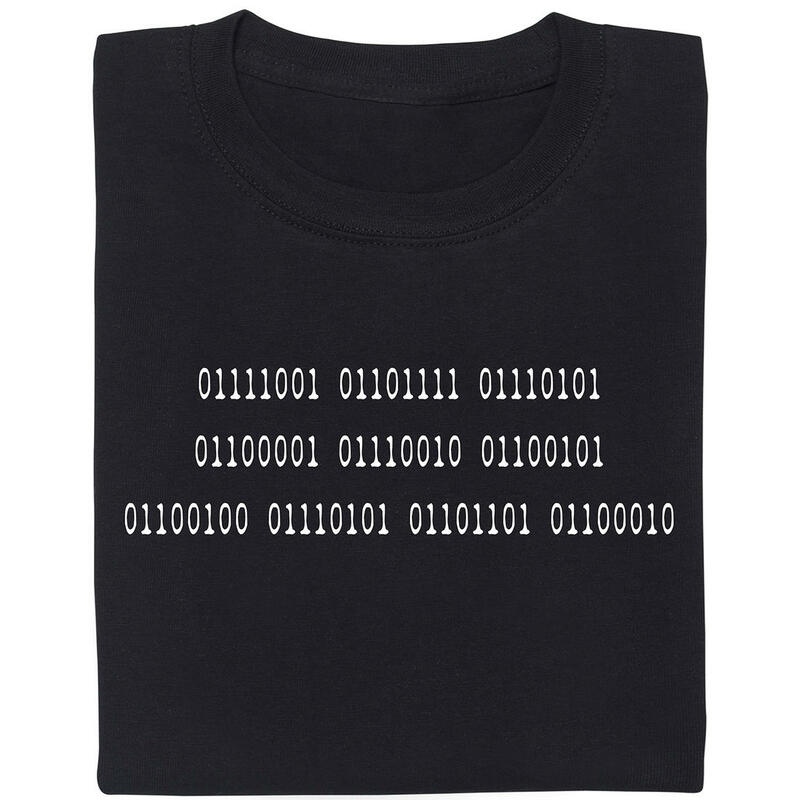 from 16.95 £ lade... Fair Geek Wear ATP T-Shirt Just like machines, your body needs energy: the molecule ATP on this shirt works as fuel for your cells.